A Toccata (from Italian toccare, 'to touch') is a virtuoso piece of music, typically for a keyboard, featuring fast‐moving, lightly fingered or otherwise virtuosic passages or sections, with or without imitative or fugal interludes, generally emphasizing the dexterity of the performer's fingers. Originating in Renaissance Italy, the Toccata travelled North and in J S Bach�s time it was an important form of keyboard writing. 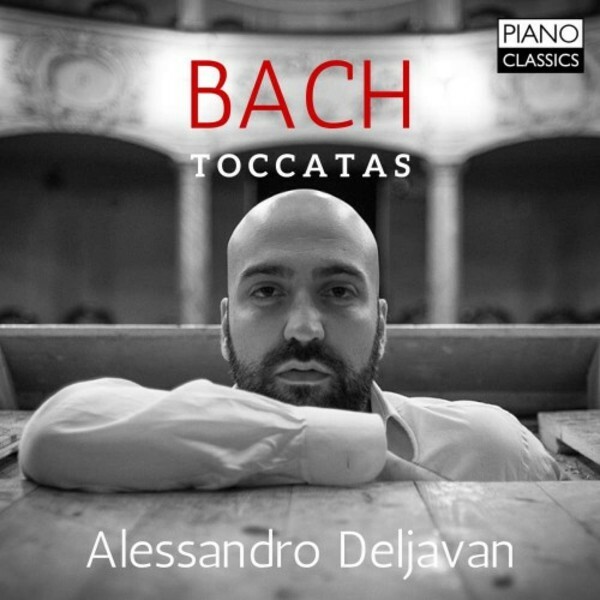 Bach�s seven Toccatas are highly intricate, 'pianistically' elaborate works, in free, quasi‐improvisatory style, demanding a high level of virtuosity. This is the perfect repertoire for young Italian Alessandro Deljavan, one of the most remarkable and original pianists of today. He gives his imagination free reign, is eloquent in the recitative-style episodes, shows his incredible sense of polyphony in the fugues, and displays a blinding and glittering pianism in the virtuoso sections: spellbinding!